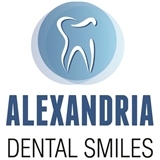 Alexandria Dental Smiles (Alexandria) - Book Appointment Online! We are a dental practice devoted to restoring and enhancing the natural beauty of your smile using conservative, state-of-the-art procedures that will result in beautiful, long lasting smiles! We treat patients of all ages starting at the age of 1. I was very pleased with this dentist and the staff. Scheduling the appointment was a breeze. Hours were accommodating and services were affordable for people who don't have dental insurance. I felt like I received excellent and thorough care from the hygienist and Dr. Katie. Both were very knowledgeable and gentle.